Seigneurialism, sometimes known as seigneurial feudalism, was a system of rural organisation and land tenure used in 18th century France. It is sometimes referred to as just “feudalism”, though this is not correct. While seigneurialism was certainly derived from medieval feudalism and retained some of its practices, true feudalism had vanished from France some two centuries before the revolution. Unlike feudalism, the basis of the seigneurial system was almost entirely economic. It required peasants who occupied the land owned by a seigneur (‘lord’) to pay feudal dues to the seigneur. 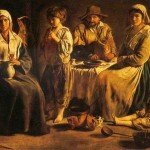 Seigneurialism and feudal dues were a significant source of dissatisfaction and grievance in the late 18th century, particularly in northern France, where seigneurialism was more prevalent and the weight of feudal dues was heavier. French seigneurialism was derived from medieval feudalism, the dominant political, social and economic system in Europe during the Middle Ages. Feudalism was a hierarchical system that organised communities so they could feed, supply and defend themselves. Though inherently unequal, feudalism bound the different classes of society together with a series of bonds or obligations. The lord allowed peasants or serfs to work his land; in return, the peasants handed over a proportion of their grain or produce to the lord. The lord also shared land with his knights, who helped the lord defend his realm. All classes contributed to the church with gifts and tithes, believing these would provide blessings from God. These feudal relationships provided medieval Europeans with enough stability and security to survive in small communities. Medieval feudalism as a whole system had died out in France by the 1500s. By the turn of the 18th century, France had a strengthening national government and a rapidly changing economy – yet remnants of feudalism lingered in many rural areas. This diluted form of feudalism, which historians now call seigneurialism, was chiefly economic and concerned only with ownership and tenure of the land. That some ideas and practices of medieval feudalism continued to exist within a growing capitalist economy was an anachronism. Yet seigneurialism was defended by the French nobility and the church – even by wealthy members of the bourgeoisie, who hoped one day to be seigneurs themselves. As historian Jack Censer puts it, “French society was a kind of hybrid, neither entirely free of the feudal past nor entirely caught up in it”. The workings of seigneurialism were inherently one-sided, with many benefits for the lord and few, if any, for the peasant. The seigneur doled out sections of his estate in small plots, to individuals or small groups. Those who occupied and worked the seigneur’s land were subject to a range of feudal dues, including the champart (paid in grain or produce) and the cens (paid in cash). Where the system was strongest, the landowner could hold a seigneurial court within his estate and pass legal judgement on peasants who lived there; there were over 70,000 of these courts in place, though they operated infrequently. The seigneur could also demand the much-loathed corvée, which required each male peasant to provide several days of unpaid labour on the seigneur’s own projects, such as working his land or repairing his house, fences, bridges or roads. The seigneur often owned the flour mill, the baker’s oven and the grape press – all critical infrastructure in a rural village – and required annual payments for their use (banalités). In some regions, the seigneur was the only party permitted to own male pigs or cattle, for which he charged a stud or breeding fee. Most seigneurs were nobles, though this was not always the case. Many members of the clergy and upper bourgeoisie purchased seigneuries (feudal estates) in the 17th and early 18th centuries. The status and trappings of the seigneur – the feudal dues, exclusive hunting rights, an individual pew in the local church and so on – were prestigious and highly sought after. But the seigneurial system also came under attack throughout the 1700s. Many philosophes condemned the historical origins of seigneurial dues, most of which stemmed from medieval ideas of fiefdom and fealty but were without real legal basis. They also criticised the seigneurial system for its inequality, noting that in some seigneuries the peasants existed as virtual slaves. Several radical economists suggested that seigneurial economics held back agricultural production; a more open labour market, they argued, would benefit economic progress. The administration and paperwork involved in maintaining the seigneurial system were also extensive and complex. Unlike the Middle Ages, 18th-century feudal dues were usually outlined in contracts and deeds associated with land tenure. 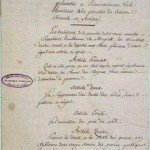 To what extent was seigneurialism a critical grievance leading to the French Revolution? This question has long interested historians. It is difficult to answer generally because seigneurial dues took different forms from place to place, and were levied more rigorously in some parts of France than others. Seigneurial dues were proportionately heavier in northern France than in the south, at least for the champart and cens. Regardless of this uneven application, opposition to seigneurial dues was widespread across France. The best evidence for this can be found in the cahiers de doléance, the grievance books drawn up in early 1789 for submission to the Estates General. Rigorous studies of cahiers drafted by the Third Estate show almost no support for retaining feudal rights as they stood. 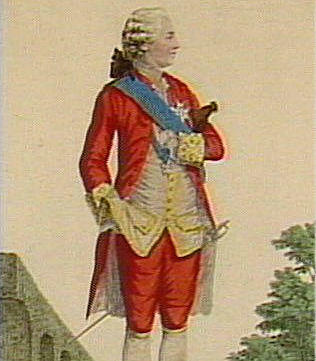 The majority of the cahiers (55 percent) suggested abolishing the champart and cens, albeit with some compensation to the seigneur. A smaller proportion (36 percent) suggested reforming or merging these payments. The cahiers were similarly opposed to the banalités, arguing that they be abolished with (43 percent) or without (40 percent) compensation to the seigneur. 1. Seigneurialism was a system of land tenure used in some rural areas of 18th century France. It was derived from and contained aspects of medieval feudalism. 2. Unlike medieval feudalism, which connected social classes and provided stability and security in a small community, 18th-century seigneurialism took the form of a land contract between the seigneur (lord or landowner) and the peasant farmer. 3. 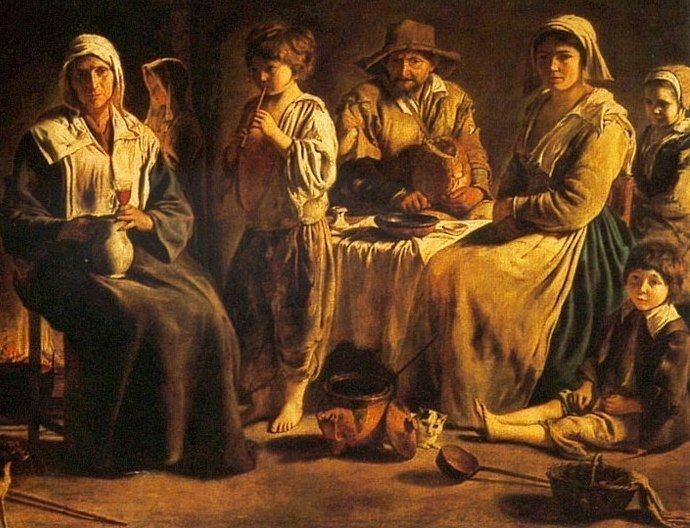 In seigneurial holdings, peasants were required to make annual payments to the seigneur, either in cash (cens) or with produce (champart). The seigneur also charged taxes for using infrastructure like the flour mill, wine press and baker’s oven (banalités). 4. The seigneur could also demand a period of unpaid labour from his tenants, called the corvée. Many peasants were also subject to seigneurial courts, which were overseen by the seigneur. 5. The feudal dues imposed under seigneurialism, while not applied uniformly across France, were nevertheless unpopular. 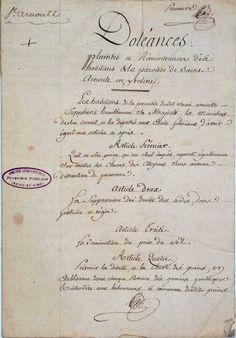 This is reflected in the cahiers de doléance drafted by the Third Estate in early 1789. 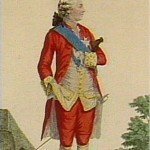 J. Llewellyn and S. Thompson, “Seigneurialism”, Alpha History, accessed [today’s date], https://alphahistory.com/frenchrevolution/seigneurialism/.